NSLC Habitat is so excited to be participating in the upcoming Iron Range Earth Fest!. Once in awhile an idea gets rolling like the proverbial stone down a hill. As soon as people hear about it, they recognize it as something they have been waiting for. The idea turns into shared vision, shared vision into planning, and something happens which has never happened before. Three months ago, a group of people from a local congregation (Messiah Lutheran) decided to organize an East Range Earth Day by bringing together a variety of groups and people around great local food to share traditional skills and new technologies for sustainable living. They believed that the people of the Iron Range have many of the resources and skills we need to shape a sustainable future for our children, communities, and land. They reserved the Mt. Iron Community Center for Saturday, April 18, and began to talk about it with people they knew. They soon realized that the vision was bigger than one church’s capacity to organize it. In the last two months, eight other organizations have joined Messiah to plan the first ever Iron Range Earth Fest for Friday, April 17 and Saturday, April 18. This brand new Iron Range Partnership for Sustainability currently includes Club Mesabi, Inc., The Creative Shop, Global Warmings, Hope Community Presbyterian Green Team, Laurentian Environmental Center, Messiah Lutheran Church’s Creation Care Team, Natural Harvest Food Co-op, North St Louis Soil and Water Conservation District, and the Virginia Sustainability Task Force. The Northeast Minnesota Regional Sustainable Development Partnership became the Iron Range Earth Fest’s first presenting sponsor, offering seed money, services, and a world-renowned speaker. Hometown Focus newspaper and KAXE radio will be bringing you more about the 1st annual Iron Range Earth Fest in weeks to come. The Iron Range Earth Fest will feature Iron Range food, skills, interests, and traditions – local food, local skills, local connection with wilderness, local music, and children’s activities, as well as offerings from local businesses, state, environmental, and public interest groups. People in our area still practice inherited traditions of hunting, fishing, trapping, gardening, quilting, weaving, canning, composting, furniture making and many other skills which make life sustainable. At the same time, cities, power companies and businesses in our area are developing new energy-saving and job-creating technology. All of these, along with agencies and programs for protecting our land and air and water, have a place and a voice at the first Iron Range Earth Fest. 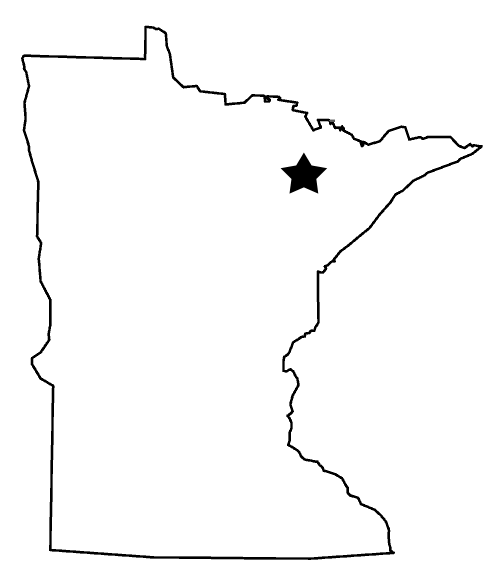 With just over seven weeks before April 17-18, the Iron Range Partnership for Sustainability already has over fifty contacts for prospective exhibits, demonstrations, and speakers on practical topics, but we know that there are many others who have something to offer, whether traditional skills or new energy-saving technologies. If you think you have a potential exhibit or demonstration, e-mail us at ironrangeearthfest@yahoo.com. Space is somewhat limited, so please contact us soon. If your business or organization would like to invest some dollars as one of our primary sponsors, e-mail us, or contact Connie Olson at North St Louis Soil & Water Conservation District, 742-9504. Over the next six weeks, leading up to April 17-18, Hometown Focus will feature two articles each week on local traditions and local/regional perspectives on living and working sustainably. As you read them, you are already entering a community conversation which is really what the celebration of Iron Range Earth Fest is all about, a conversation that can open us to the sustainable future that our children deserve. Their future is unfolding now, and it is ours to help create.